If you wander down the paths between the tents, vehicles and booths, you’ll pass countless stands offering fish rolls, radishes, cheese squares, schnitzel rolls, roast nuts, candied fruit, fairy floss, and other tasty treats. Plus, when you get to the beer tents, you’ll have your choice of cold and warm dishes. 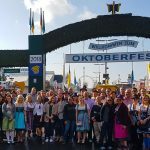 With the range of Oktoberfest food on offer, you can head to the festival on an empty stomach, confident that you’ll be more than sated when you get there. 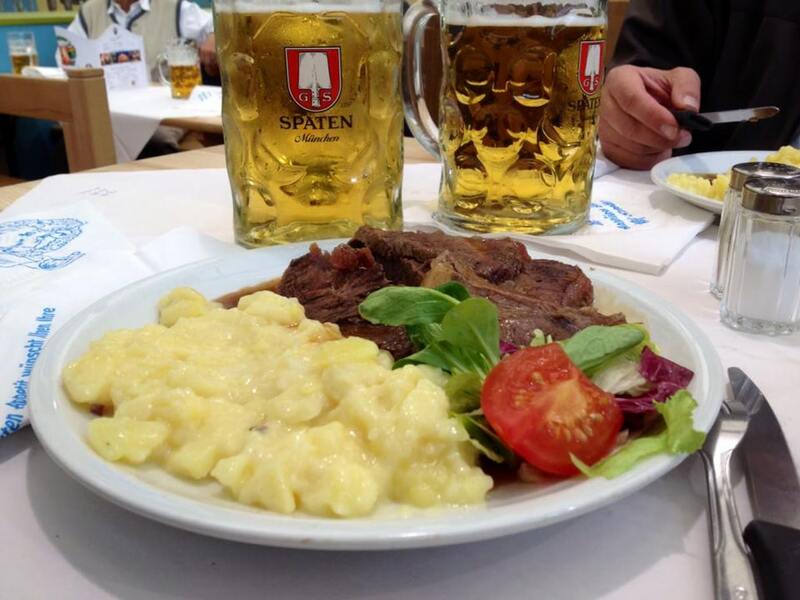 Here, we’ll go through just a few of the dishes, food and snacks offered at Oktoberfest. After beer and giant pretzels, half a roast chicken is an Oktoberfest classic. Chickens taste better at Oktoberfest than anywhere else because they are prepared with the highest quality ingredients, seasoned with a fancy mix of spices, stuffed with fresh parsley and spread with hand-churned Bavarian butter. 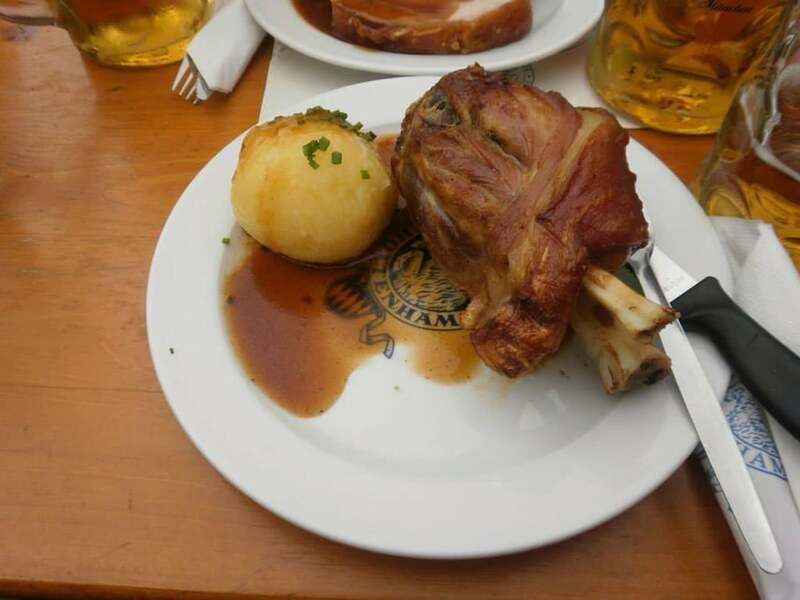 All roast chicken at Oktoberfest is delicious, with crispy skin and juicy meat. A half chicken costs a bit more than a stein of beer, but it’s almost as good! Yummy pork knuckle (Haxn) and dumpling. Fish rolls have long been part of the Oktoberfest experience as well. A traditional fish roll is topped with herring, pickles and onions. The juicy herring soaks into the roll and makes it soft. But because of the many onions and the fishy smell, it is not a good idea to eat a fish roll before kissing someone. There are many stands selling beef at Oktoberfest. Each cook has his own special sauce and guards his secret recipe more securely than the CIA. They all taste good and you can’t go wrong with any of them. Since people generally stay on the fairgrounds for several hours, it’s a good idea to enjoy your beef roll before visiting the beer tent. That way, you’ll at least have something delicious to get you over. 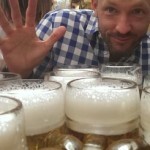 What lunch-time typically looks like at Oktoberfest – yep, mostly beer! Oktoberfest pretzels are unique in that they are at least four or five times as big as regular pretzels. They are also perfectly balanced between the outer crispiness and inner softness. Like regular pretzels, they are made out of yeast, salt, flour, water and butter. The distinguishing factor is that because people love them so much, they are often sold out just a few minutes after they’re prepared. Thus Oktoberfest pretzels are always fresh. You should eat them soon after buying them, because they can get soggy due to the humidity in the beer tents. Please take note: an Oktoberfest pretzel is not to be eaten alone. It should be shared. As well as beer, cheese also goes well with pretzels. It’s best eaten as a snack, cut into cubes and sprinkled with salt and pepper. Plus, if you arrive back late to your group from a bathroom trip or a ride on the Ferris Wheel, your friends will greet you warmly if you bring along a nice plate of Emmentaler or gouda. 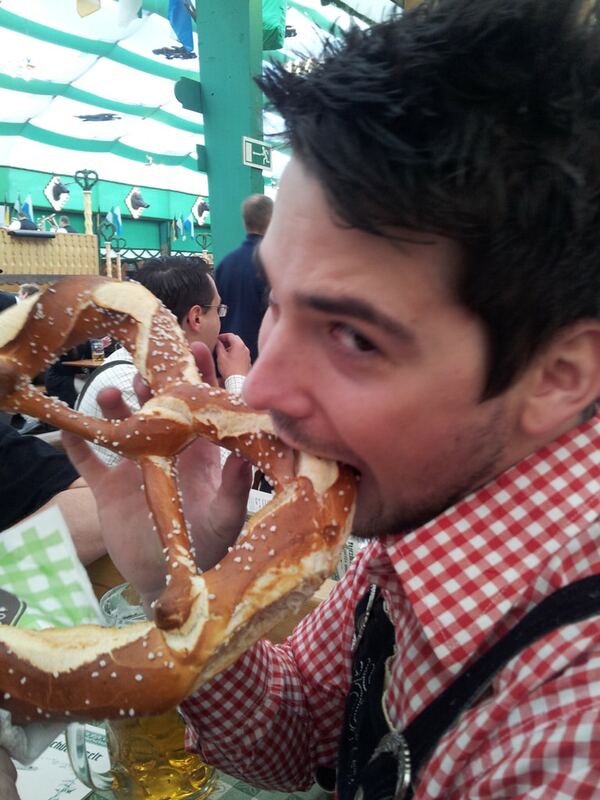 Hungry for Oktoberfest? 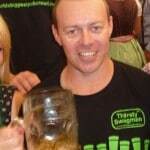 Then party with Europe’s number 1 Oktoberfest tours!